This year’s weather has presented many problems to the turf manager going right back to the poor spring we experienced. Spring is a time when turfgrasses are normally building carbohydrate reserves, developing strong root systems to see them through the stresses of summer. In 2018, we had a very cold spring that did not allow plants to develop extensive root networks. We then launched straight into one of the hottest, driest summers on record and the plant was simply in survival mode, with little chance of significantly extending the root network or building energy reserves to help it through the winter. The majority of irrigation applied had no chance to penetrate deep into the rootzone as it evaporated in the heat. This led to shallow roots in the only area of available moisture – the surface. Any thatch build up really magnified this problem as it’s sponge-like texture held the water on the surface – above the soil. It’s no surprise then, to see anthracnose and michrodochium appearing relatively early into the autumn. 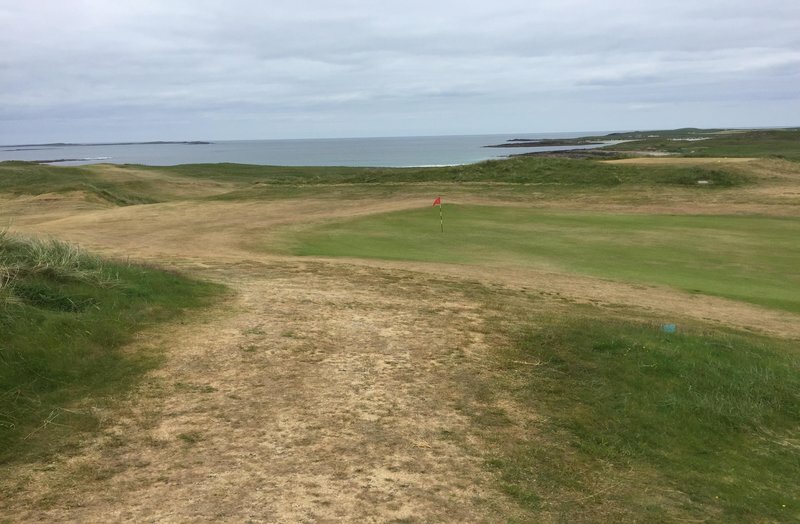 The nature of golf courses in particular, where fast putting speeds are demanded all year round and the course is in play 365 days a year, mean that we have a stressed plant with shallow roots and low energy reserves to fight off infection. Autumn applications of biostimulants and aerobically-composted carbon-rich organic fertilisers can be a real benefit in improving plant health whilst there is still some temperature in the soil and the plant can build root mass. Organic materials are, quite rightly, very popular at this time of year as the slow release nitrogen source pushes plant health and recovery, but without a big flush that encourages microdochium. Once we get into late autumn/early winter and soil temperatures begin to fall, the benefits of ‘dormant feeding’ should be considered. Dormant feeding is the application of high quality aerobically-composted organic fertilisers to turf in autumn & winter to maximize plant health during periods of slow growth. Dormant feeding practices have been proven through independent research to reduce disease and produce stronger, healthier plants. As the turf comes out of the summer stress period, it needs to build carbohydrate reserves to resist disease stress in the cooler months. Even during the months of Nov-Feb plants will need adequate supplies of nutrients to maintain health. Synthetic nitrogen fertilisers can over-supply plants leading to soft, lush growth susceptible to disease. Organic fertilisers were once considered to be ineffective at supplying winter nutrients because the cold soil conditions would prevent microbial activity mineralizing the nitrogen. Research at the University of Wisconsin shows that this assumption is wrong and nitrogen mineralization by microorganisms occurs even under snow cover. Aerobically composted organic fertilisers like Sustane 4-6-4, 5-2-10 and 5-2-4+Fe are perfect for winter dormant feeding as they trickle feed the plant just the right amount of nutrition to maximize health without forcing soft growth. When the soil temperature drops below 0oC, microbial activity stops, and the plants are not fed—as temperatures pick up again the nutrient supply re-commences and plant health is optimized. Increased soil microbial communities and optimized plant nutrition mean Sustane reduces both the incidence and severity of disease, leading to improved surfaces. During periods of autumn/winter stress when sports turf is most susceptible to attacks of disease it is important to maintain a healthy soil microbiological population to gives turf the best opportunity to resist disease. 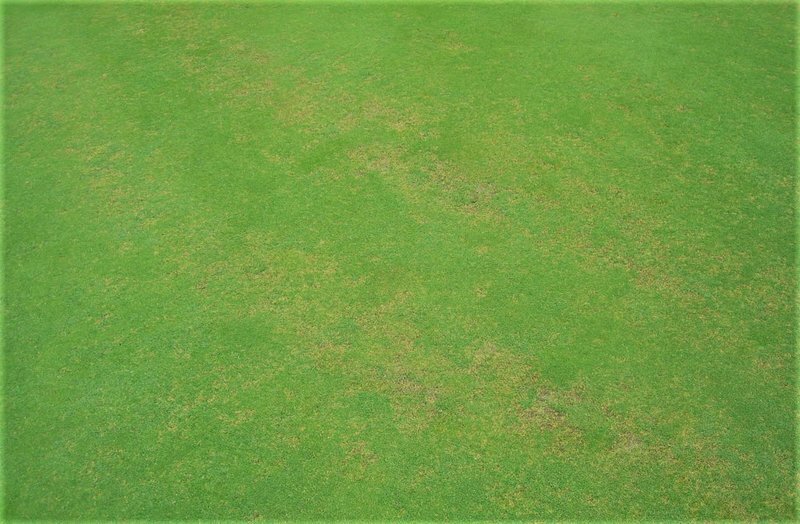 There are many independent research papers on the use of Sustane as a disease suppressive tool on a number of pathogens such as microdochium, anthracnose, grey snow mould, dollar spot, red thread, pythium root rot and brown patch amongst others. This is not through a ‘fungicidal’ action, but rather by promoting a healthy soil biota during times of stress that enables plants to defend themselves more effectively. 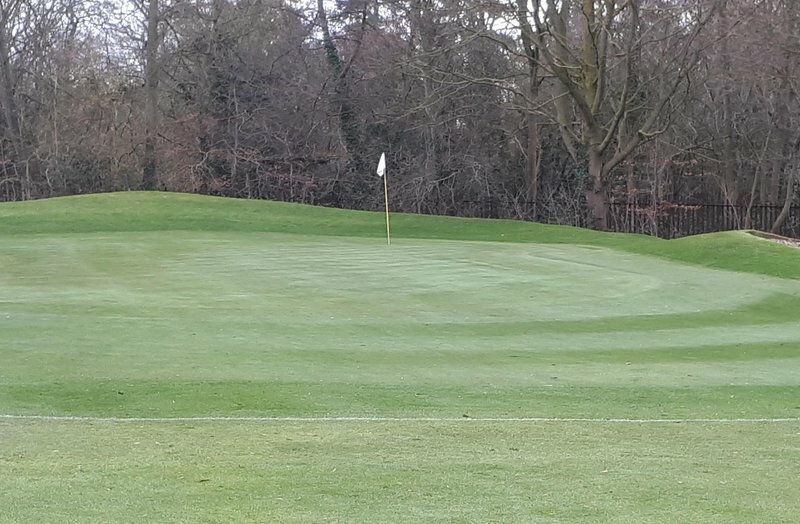 The use of Sustane during winter is not designed to give growth, but it is there to work alongside inorganic nutrition and other plant products such as chelated irons and phosphite to maximise plant health, reduce stress and deliver healthy playing surfaces. Turfgrass is under severe pressure as levels of winter play are far beyond even those of 20 years ago in both golf and winter sports pitches. Player expectations are much higher and turf managers are always seeking the latest ‘wonder product’ to keep them disease-free with a full cover of grass that doesn’t cost a fortune. Realistically there are no wonder products, but by putting together a programme of sensible agronomic practices of cutting, brushing, thatch management, nutrition, dew/moisture management, drainage, etc it is possible, even on tight budgets, to keep healthy turf all year round. 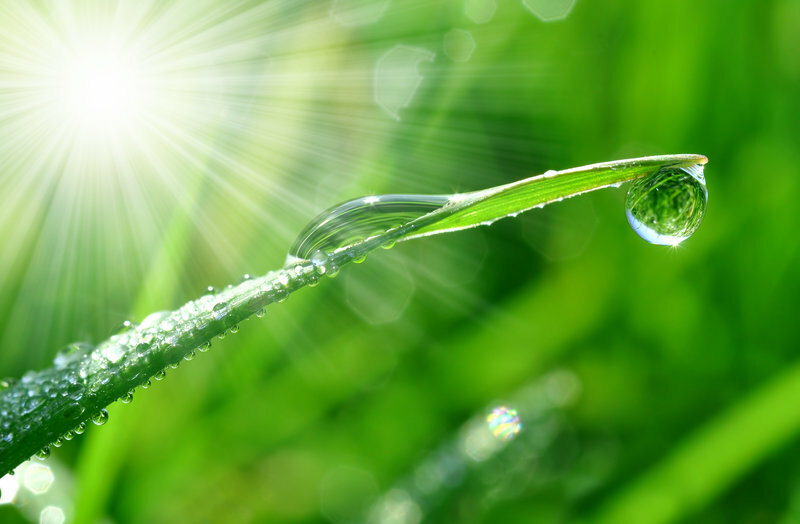 Sometimes the weather will make things next to impossible and you may have to accept closing your pitch/course or spraying fungicides to maintain cover, but as long as you are managing your turf well, it will bounce back in good time. Dormant feeding is one area where we can adjust our conventional thinking of winter fertilisation to improve plant health and increase off-season surface performance.